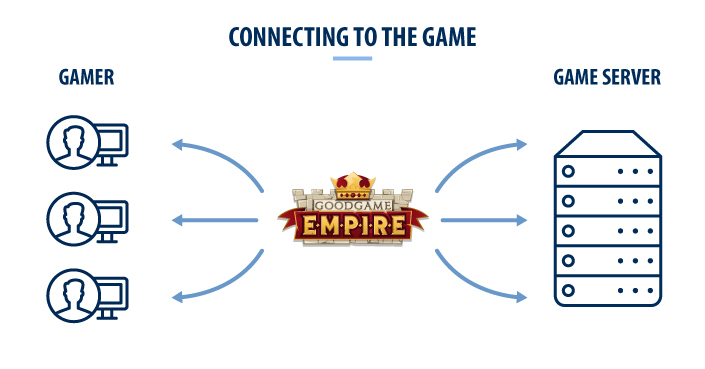 If a player starts Goodgame Empire in their browser, our server software accepts the connection. This means that it registers that the player has logged in. Then the software provides the game logic, meaning the game itself, so the player can see how many soldiers they’ve recruited, how much gold they own, or that they are currently being attacked by an opponent. During the game, the program controls the interaction between the players, for instance when player A sends his soldiers to castle B, the server registers this move and sends the information to player B, who can then prepare his defense. The server hardware provides the processing power for the server software, i.e. disk space, CPU, and memory. These computers are located in large data centers and leased only by us. We have spread them across the globe in order to offer the best possible player experience to players from all around the world. 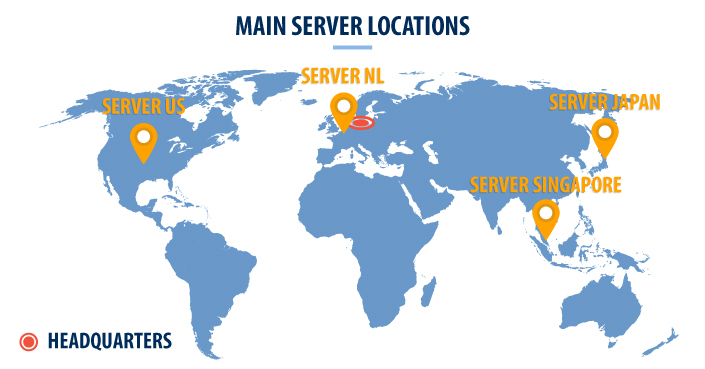 We operate this complex server network from Hamburg, but our largest data centers are located in Holland, the United States, Singapore, and Japan. Our IT department is responsible for the server hardware, while the game technology team and game developers take care of the server software. A whole range of experts therefore ensure that our servers run as smoothly as possible and that our games remain available for our players 24/7. We hope that this extremely simplified explanation of how our game servers work gives you an idea of how an MMO game like Empire works when an unimaginable number of castle lords from a wide variety of countries play against and with each other simultaneously. In the next blog, we will expand upon this basic knowledge and explain why game servers can occasionally crash.